The perfect meeting place in West Oxford. The café is a lively meeting spot for families, friends, and business colleagues - a great place to relax in the heart of West Oxford. Run by local couple Tom and Vladimira Imre, you are sure of a friendly welcome. 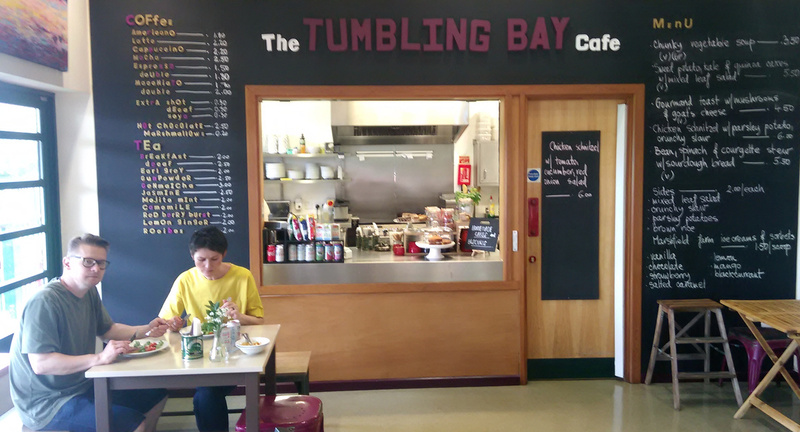 Open 7 days a week from 10.00am - 4.00pm on Sunday and Monday, and 9.00 - 5.00pm on Tuesday - Saturday, it offers a delicious and affordable range of home-made meals and cakes, along with superb coffee, teas and other drinks and treats. It has beautiful views over Botley Park, with a patio area which in turn leads down into the park and a children’s play area. Catering - The café is a great solution if you need catering for your meeting or party at the community centre, from teas and coffees to full-scale banquets. Talk to Tom and Vladimira about how they can help make your event that bit more special. "Tom and Valdimira's food was fantastic and enjoyed by all." The café is is only available for hire in the evenings after 9pm. With a capacity of around 30, it makes a good meeting room.